Are you Interested in learning more about the ceramic classes offered at Muddy's Studio? Why don't you visit Muddy's ceramic booth at the Orange County Fair? 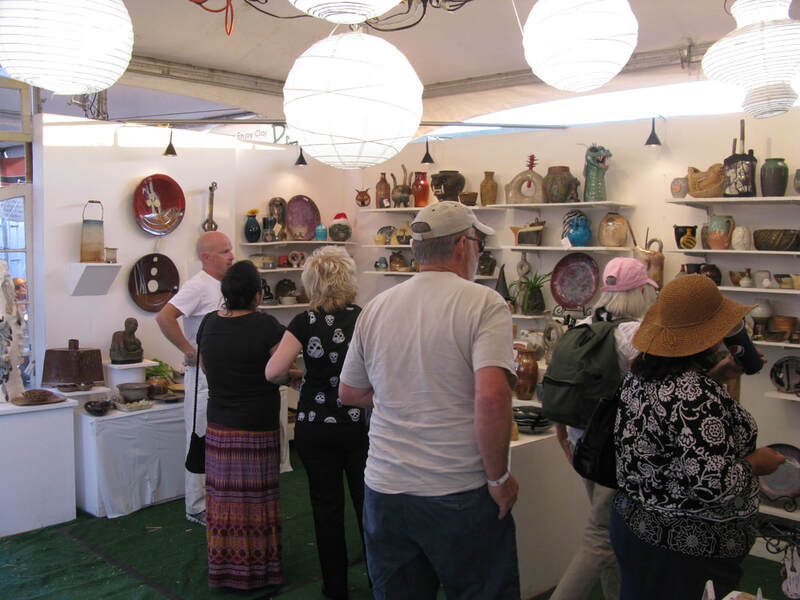 ​Local ceramic artists have been demonstrating their skills to fair-goers for over 8 years. We have an exciting, well stocked Ceramic Gallery, full of functional, sculptural, and unique ceramics, all handmade by local Orange County artists. ​Please make it part of your day at the Fair to drop by, say Hi, sit a spell, be entertained, and shop in our gallery. We look forward to seeing you this summer! 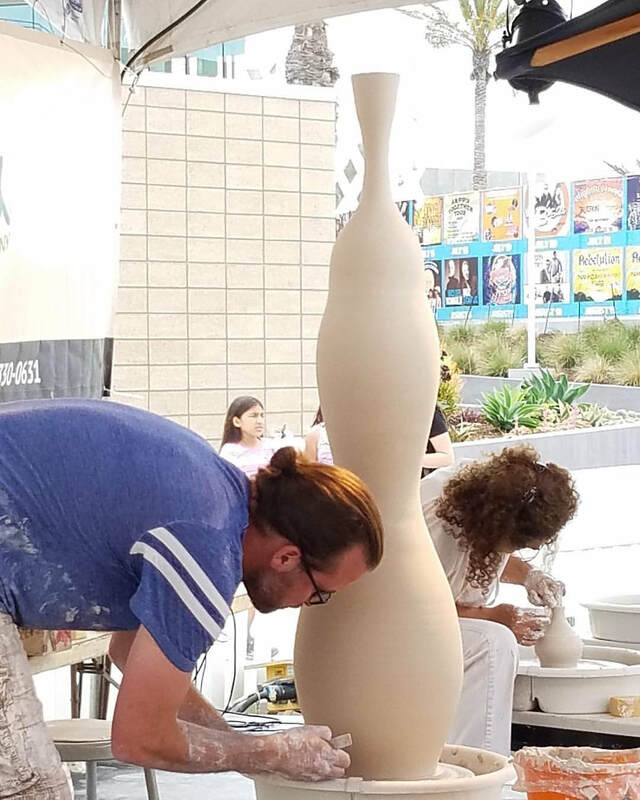 Click the button below to check out the OC Fair Pottery Website — all the latest news from Muddy's @ the OC Fair! Robert, demonstrating his throwing skills on a potter's wheel. Works from over 25 ceramic artists are on view, and for sale, at Muddy's Gallery. Susan is demonstrating hand building at the OC Fair. Clay demonstrations all day and evening.